Yes, it seems getting your nails done is one cosmetic luxury that most ladies (and some men!) won’t live without in modern times. 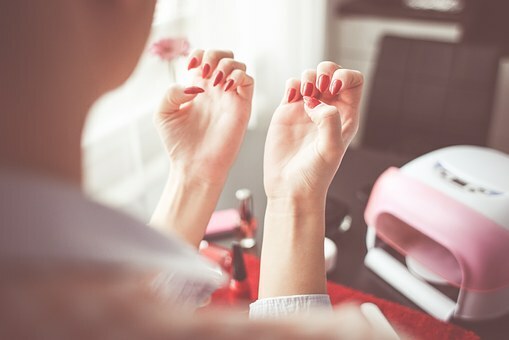 A recent survey in a leading women’s magazine had women citing that their nails were part of their self-expression, femininity; and having them manicured or painted boosts their self-confidence and self-esteem. This is all good news for those working in the industry and those contemplating entering it. As a Professional Nail Technician – expect to work in a nail bar or a beauty salon. Some Nail Technicians hire a space in a hair/beauty salon, or choose to work from home or visit clients in their own homes. A Nail Technician’s role is to apply false nails, nail extensions or decorate nails by using a number of different techniques. It is important to discuss with the customer the most appropriate type of nail extension and the options available for decoration. You will then clean the customer’s nails to rid any bacteria and provide a manicure before applying false nails or extension. Ultimately, you may decorate the nails by using a number of techniques such as applying a coloured varnish, glitter, gems, or stencilled designs painted with an airbrush or you may choose a free-hand design. However, there is a serious dimension to the work carried out by a Nail Technician. You have to check the customer’s nails for signs of skin or nail disease. If there are signs of disease, false nails or extensions will not be applied. In the nail industry health and safety is vital. The chemicals that are used can be extremely dangerous if they are used or stored in the wrong manner. The proper maintenance of nails is necessary to prevent damage to the natural nail. What skills are needed to be a Nail Technician? There are a variety of different classes you can attend in order to become a qualified Nail Technician. They mainly fall under two categories. Firstly, nail Classes for nail maintenance: This is where most Nail Technicians make their ‘steady’ money. As the natural nails grow the enhancement moves with it and alterations are needed to keep fingers looking kept. This is how technicians build up repeat business and a regular source of income. Secondly, there are various nail Classes for nail art. These classes allow those in the area to be creative and innovative. Kilroys College offer a Nail Technician Specialist Diploma training course, via distance learning.This Nail Technician course is an excellent way to learn the skills and acquire the knowledge you will need to succeed in this very popular activity as a professional or as a hobby. As well as learning how to dress nails professionally, as part of your course you will also cover all the areas you need to work as a nail technician, such as the anatomy of the hands and skin, and the health and safety aspects of work. – You will learn about the importance of good grooming and various forms of good communication. – You will be able to carry out a consultation and maintain client records. You will learn to differentiate between sanitation and disinfection and how to carry out the necessary procedures. – You will learn how to recognise and understand the consequences of cross infection and the methods necessary to avoid them. Portobello Institute run a Gel and Acrylic Nails course on a part-time basis. Gel and Acrylic nails are two of the most popular innovations in the world of professional nail enhancements. They are recognised as strong, durable and most importantly beautiful to look at. As two of the most in demand nail treatments on the market, a knowledge of both is essential for any beautician or nail technician. On completion of this course you will be awarded the ‘Portobello Institute Certificate in Gel & Acrylic Nails’. Portobello Institute also offer a one day course in how to apply UV Gel Nails. This course is ideal for those who wish to enhance their skills as a Nail Technician. UV Gel Nail application is the latest craze in nails and provides an alternative to acrylic nail tips. The overlay of gel is used to create a natural extension which is then curved and sealed using an ultraviolet lamp. This course is designed to provide the learner with all the skills required to produce UV Gel nails from preparation through to file and polish. It is the perfect add-on to practicing beauticians who want to be up to date with all the latest nail trends. This institute also run a part-time Manicure and Pedicure course. This is probably the ideal course to start with if you are interested in starting a career as a Nail Technician. Once you have gained this qualification, you are eligible to study for further Nail Courses such as Nail Art and Nail Technician (Gel & Acrylic Nails). The Manicure & Pedicure course gives you the knowledge that you need for Nail Therapies and the certification to take this skill to a higher level. 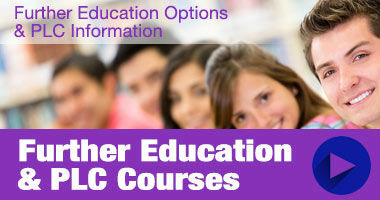 This course is ITEC accredited. A Nail Technician is a cosmetic position. 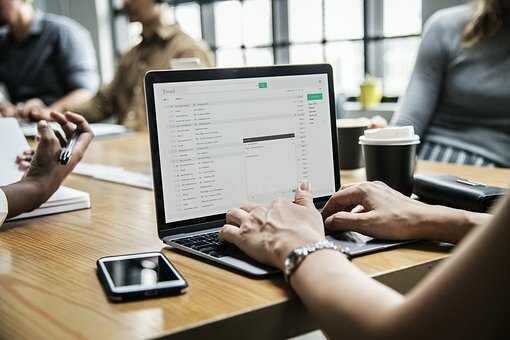 It strikes a nice balance between science and art, as there are routines and techniques that you must master in order to become proficient at it. However, when you do put designs on people’s nails, including stencilling and freehand, it gives the nail technician the latitude to use their own imagination to create unique patterns. As you might imagine, a large majority of clients wishing to see a nail technician tend to be female; however, be prepared for an increase in the number of male clientele seeking nail attention. Nails are nails after-all!